As 2012 rolls to an end, it’s time to look forward and anticipate some of the new laws and trends that can affect landlords in 2013. Over the past year, the use of medical marijuana has proven popular in those states that allow sales. Last November, Washington and Colorado residents passed new laws permitting recreational use of marijuana. As a result, it is likely landlords will see an uptick in the number of tenants expecting to smoke or grow marijuana in rental properties. There are few details known regarding how recreational marijuana use will be regulated. Unfortunately, these measures have already emboldened marijuana smokers in all states, and some now believe that smoking or growing pot not only is legal, but is a legal right. However, the federal government continues to list marijuana as a controlled substance. So long as that is the case, landlords who allow pot smoking or growing operations in their rentals may be breaking the law, regardless of what an individual state mandates. It’s easy to see how landlords could get caught in the middle. Landlords may want to stay in touch with their legal counsel for individual advice on how to handle this emerging area of the law. It is interesting to note that HUD –the Fair Housing watchdog — has taken the position that because marijuana is illegal at the federal level, tenants with disabilities cannot claim discrimination against landlords who forbid its use in rental properties. 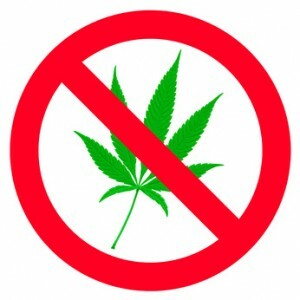 Also, landlords who enforce smoking bans that may include both tobacco and marijuana could be in a better position to restrict pot smoking — especially in those states that allow recreational use — because such bans protect the health of other tenants and the safety of the property. It may become necessary to include a marijuana prohibition in the lease agreement, should new laws require it, or if landlords want to clarify their position for incoming tenants. Landlords in Washington and Colorado may have the opportunity to lobby local lawmakers concerning new regulation of recreational marijuana use, either individually or by participating in local landlord associations. In 2013, Washington will become one of the latest states to adopts carbon monoxide detector rules. To date, 29 states have enacted some form of regulation concerning carbon monoxide detectors, and that number is expected to grow. Whether a state requires a carbon monoxide detector or not, it is still crucial for every rental property to have functioning detectors. The devices are inexpensive and easy to maintain — test and replace batteries periodically — and can save lives. Even modern properties are susceptible to carbon monoxide leaks. Making landlords more responsible for crime at a rental property. It’s becoming a popular trend to fine landlords if tenants are participating in drug activities, underage drinking or disorderly conduct on the rental property. The best defenses are careful tenant screening, including running a criminal background check, and frequent property inspections. Absentee landlords — sometimes defined as one who lives outside city limits — may also encounter additional scrutiny, including a popular requirement that they hire an in-city property manager or designate a property agent. Rental inspection laws also have become a common feature of local landlord tenant law, and landlords may need to budget for annual registration and inspection fees. Some cities have backed down on these registration rules after hearing from concerned landlords. HUD prosecuted a number of discrimination cases this year based on occupancy limits, and recently the agency noted its determination to continue to focus its resources on assisting families with children overcome obstacles to housing. Occupancy limits in the lease agreement, for instance, per bedroom quotas, should not be more restrictive than local or state zoning ordinances allow. Even in the event that the lease tracks occupancy limits placed in a local zoning 0rdinance, Fair Housing laws still require that the landlord apply a reasonableness standard and attempt to accommodate families with kids. Under Fair Housing rules, multiple children can bunk in the same bedroom or with parents, and bonus rooms or those designated as offices may easily be transformed into bedrooms. HUD does not require landlords to violate the law or health and safety standards in accommodating families. Be prepared to justify a rejection of a rental applicant with children based on occupancy standards. The use of companion animals for treating disabilities appears to be on the rise, and these requests may increase in 2013. The current law provides that a companion animal is not a pet, nor is it a service animal. Landlords must modify their pet rules to accommodate these requests. The rules apply only if the tenant suffers from a disability, and has a prescription for the animal from a health care provider. Landlords with questions about a specific request are encouraged to contact their local housing agency or seek legal counsel before rejecting a request for a companion animal. Even if the landlord ultimately accepts the animal, requiring a pet deposit, higher rent, or intimidating the tenant during the process may still result in a claim of discrimination, which has proven costly for some landlords. How do you go about reporting tenants who default in their rent and judgments rendered against them go unpaid. Is there a specific credit bureau reporting agency that you go to?